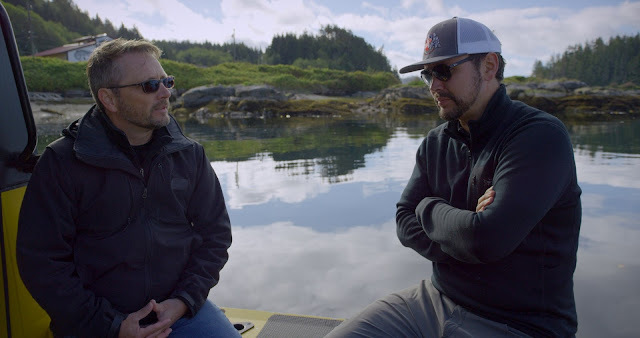 Deep in the Great Bear Rainforest, against the backdrop of British Columbia’s breathtaking wilderness, a former hunter comes to terms with his past and looks with hope towards the future. Exploring one man’s evolving relationship with the natural world, Way of the Hunter tells the compelling story of Robert Moberg, a hunter who ultimately traded his gun for a camera. Official Selection--Whistler Film Festival 2018-World Premiere! In one of the only 2 short films that I was able to view this year for the festival comes from The National Film Board of Canada. The other short was Love, Scott also from the NFB. 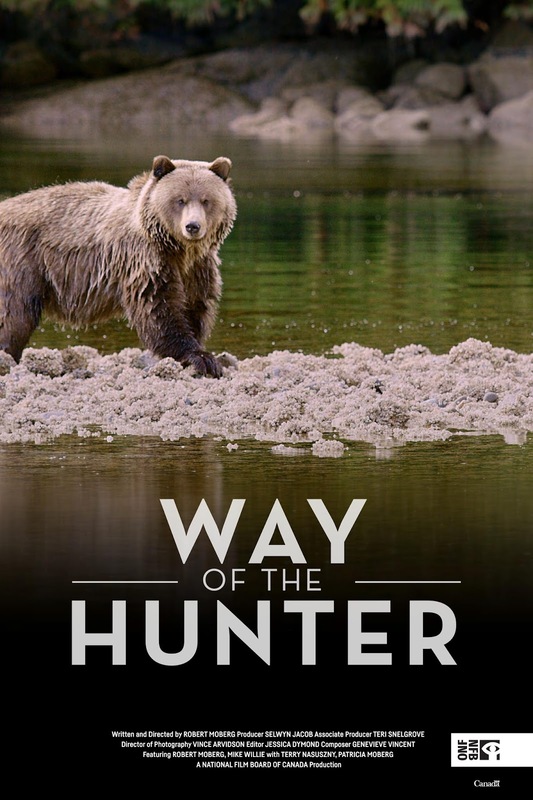 Way of the Hunter is a short documentary of a man who used to hunt and is now against the idea all together. 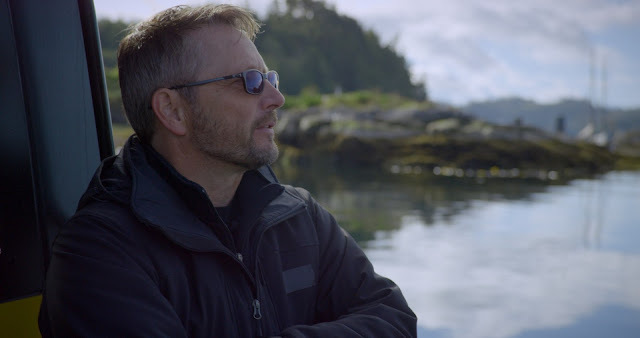 Robert Moberg directs and speaks about his days as a hunter but now as a concerned citizen for the growing epidemic of poaching of many of the world's animals. Here our focus is the grizzly bear. I had hoped that the film would be longer once I got into it, it raises a good question and also allows us to see at least that something, no matter how small is hoping to make a change and for that they both need to be acknowledged for that. It's run time is only 16 minutes. I grew up in the 1960's in rural Alberta, on a small farm near the town of Rocky Mountain House. My father had to provide for a large family of four adults and seven kids, and hunting in the nearby woods was a large part of how he did it. I began accompanying Dad on his hunting expeditions when I was six years old, and when I finally got my first rifle, at 12, I was overjoyed to be able to help put food on the table. I lived my whole childhood outdoors—and felt more at home in those woods than I did anywhere else. As an adult, I moved to Vancouver, and then Edmonton, where I lived for the next 20 years. I really missed the close proximity of nature, and would go on hunting trips with friends whenever I could. It was almost like hunting became an excuse to get out into the wilderness—as if an excuse was necessary. And it started to unsettle me that I was killing wildlife I so rarely had the chance to see. I knew then that my love of hunting was coming to an end. In 2012, I moved back to Williams Lake, BC, where I had lived for several years as a teenager. I began making a documentary film on the decline of the bighorn sheep herds of the Cariboo-Chilcotin. I spent two years following these majestic animals, mostly on my own, camping out in the bush and following the herd on foot. Such intimate access, over such a long period of time, allowed me to appreciate wildlife in a way I never had before. After making that film, I knew I could never kill another wild animal. 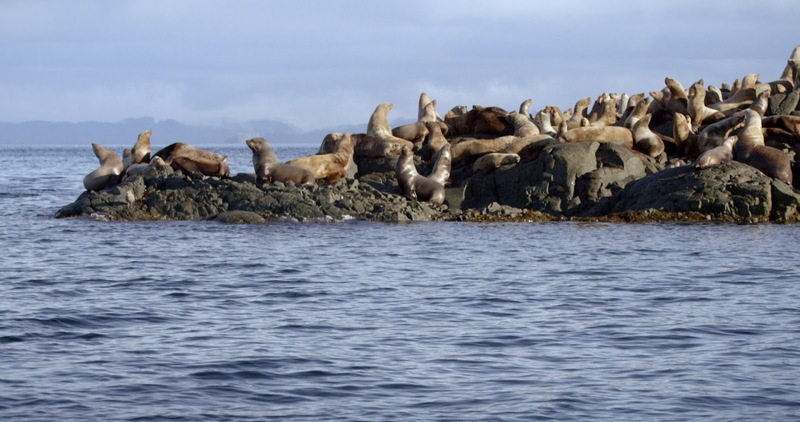 A colony of stellar sea lions sunning themselves off the rugged coast of the Great Bear Rainforest in British Columbia.